3D was all the rage at the Consumer Electronics Show (CES) a few weeks ago, but most devices still require 3D glasses to work. No more. LG is taking a page from Nintendo. At the Mobile World Congress (MWC) in February (14-17), LG plans to unveil the Optimus 3D, a new Android device with glasses-free 3D. More interesting, it will also come with a dual-lens camera capable of 3D recording. No further details were revealed in its press release, but LG is the first electronics manufacturer to unveil a commercial 3D phone, let alone one with glasses-free 3D or 3D recording. It’s speculated that the phone will have a 4.3-inch screen with a resolution of about 480 x 800 pixels. Similar to the Nintendo 3DS, LG’s screen uses a parallax barrier LCD screen covering that turns the screen into a stereoscopic image, allowing the left and right eyes to see different pixels, which produces a 3D effect. Hopefully, the new Optimus will have stats similar to the Optimus 2X, which featured a 1GHz dual-core Nvidia Tegra 2 processor, 8GB of internal storage, and 1080p video recording/playback. Another LG phone shown at CES, the Optimus Black, featured a screen that made the iPhone 4’s Retina display seem dim. After sleeping behind the wheel in the smartphone race for some time, LG seems to be on the high-tech train. The Optimus 2X was the first smartphone announced with the dual-core Tegra 2 processor and now the Optimus 3D is the first glasses-free 3D handset announced. 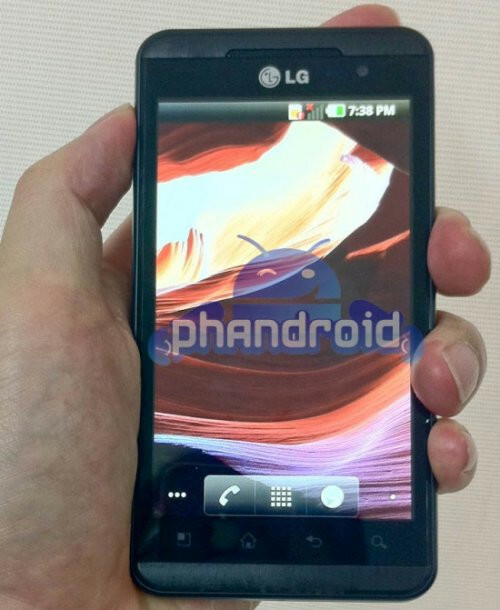 Hopefully LG can deliver a fun and usable Optimus 3D at an affordable price. The device will need a 3D toggle switch to turn the 3D effect on and off as well. The last thing people want is a phone that gives them a headache (or worse) due to the 3D. Would you buy a 3D phone? What are the benefits?